Are you awaiting a settlement on a personal injury or other case and finding the bills starting to pile up? 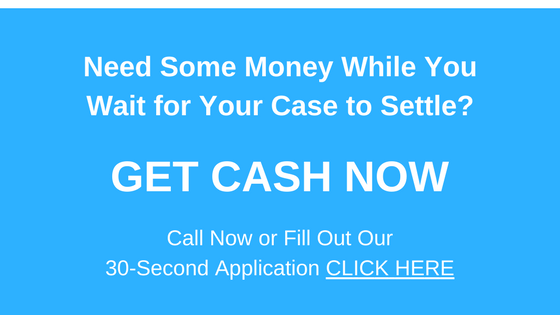 If you live in New Orleans, surrounding suburbs, or anywhere else in Louisiana, you can get the cash you need to pay the bills with a pre-settlement cash advance. Unfortunately, even if you’ve been injured or you find yourself out of work while you’re waiting on a settlement, the bills don’t stop coming. Life doesn’t stop moving. But if you are currently without a steady flow of income, those bills may be growing more and more overwhelming. If you find yourself in these circumstances, then it’s time to contact Interstate Lawsuit Funding. We are not a loan broker. Rather, we are a direct lender, which means our staff of loan professionals understand the ins and outs of Louisiana law and can make the decision about your eligibility without going through any other sources. We do not require a credit check, nor do we require any collateral in order to issue you a lawsuit cash advance. That’s something you won’t find if you go to a bank, loan broker, or other type of lender. All you have to do to get the process underway is call us at 954-946-0487, or fill out our simple, 30-second online application. We’ll review your case, consult with your attorney, and determine your eligibility. You could receive as much as $5,000 from us within 24 hours. The best part about a lawsuit cash advance from Interstate Lawsuit Funding is that it’s yours to use however you wish. You can certainly put it toward your medical bills, or toward paying household expenses. But honestly, you could probably use a little break to ease your mind from all the stress of the legal process; if you need a vacation, it’s completely up to you! Pre-settlement cash advances from Interstate Lawsuit Funding are also non-recourse lawsuit loans. If you win your case or reach a settlement, we’ll pay back the loan directly from the proceeds of your settlement. If you lose the case, or fail to settle, you owe us nothing. The money is yours to keep. Either way, you won’t have to pay your loan back out of pocket. That’s even more peace of mind for you. If you live in New Orleans, Orleans Parish, the surrounding suburbs, or elsewhere in Louisiana, don’t you owe it to yourself to contact Interstate Lawsuit Funding to find out if we can help you get through your personal injury, car accident, burn, negligence, or medical malpractice lawsuit? Fill out the online application or give us a call today in order to get the process started and get the cash you need, fast.